More patrols needed on Manchester Street between Lincoln and Beech. Dark colored sedan with driver parking on street while female with glasses, curly long blonde hair, flip flops and blue sweatpants and sweat shirt gets out of car and repeatedly walks up and down the street. The car leaves and comes back and this happens multiple times day and night. on Lincoln, going north from Ciley for several blocks. example in picture. thanks! Your request to the City of Manchester has been received. Your service request ID is #206709. These potholes were reported 6 days ago and it looks like nothing has been done. This is a very heavily traveled section of road that leads to the Northside Plaza. It`s almost impossible to drive from Hooksett Road to Hamel Drive and avoid these holes. This whole lane need to be replaced. Your request to the City of Manchester has been received. Your service request ID is #206647. Agreed. The right turn lane from Campbell onto Hamel is virtually impassable. That situation is causing confusion as folks trying to navigate that turning lane without doing substantial damage to their vehicle's suspension. That area (from Campbell, up Hamel to the intersection with Arah) really needs to attention. Perhaps now that the hot-top plants are open, it can be properly resurfaced (rather than merely cold-patched). Your request to the City of Manchester has been received. Your service request ID is #206646. Your request to the City of Manchester has been received. Your service request ID is #206645. Seems like they didn’t bang out all the bags in my barrel today. This request has been resolved and is being closed. 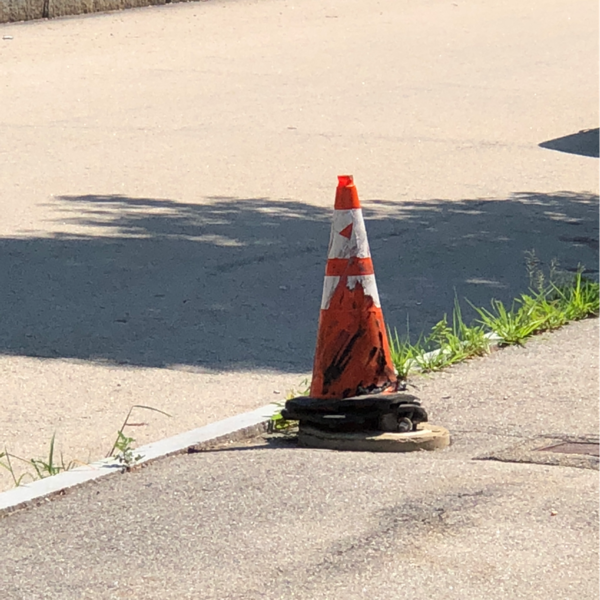 Thank you for using Manchester NH Connect to report this concern. Cul-de-sac at Sugar Hill Ln needs debris from micro surfacing to be removed. Snow plows piled debris in center of cul-de-sac, need street sweeper. It's been over a year since the light pole was destroyed by a hit and run. When are they going to put the new pole back in? The cone covering the wiring is a little silly. Your request to the City of Manchester has been received. Your service request ID is #83527. Three months later and still not been even looked at as far as I know. Please fix soon. Still waiting on this issue to be addressed! I wrote my Alderman Sapienza to let him know of the lack of response on this problem. Missed recycling and yard waste pickup on odd number side of S Lincoln St. Missed yard waste on both sides of street. We understand there are heavy loads this week, so we'll leave it out a bit longer. Thanks! Your request has been received and is in the process of being assigned to the appropriate department for resolution. Last week's recycling still in full bin. We took this week's excess to transfer center, but please get us this week! 2 large pot holes to the right of my driveway. the waterline valve is exposed a few feet away in the middle of the street at the corner of Gurtner st. Your request to the City of Manchester has been received. Your service request ID is #204622. This issue has been resolved and is being closed. How do we go about getting a street light on our street? How do parking enforcement tags work? how can I make my neighbor repair their broken rundown fence that abuts my property?